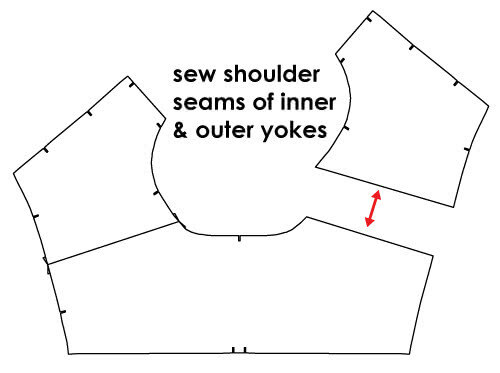 Sew shoulder seams of both top & inner yokes (sometimes front & back yokes are connected together into one piece). 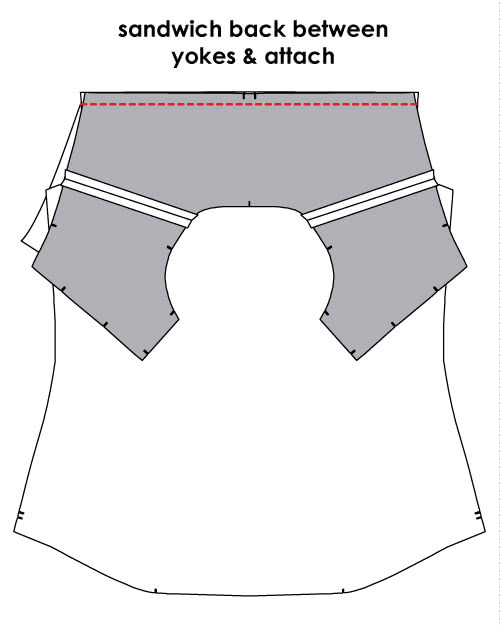 Sandwich back piece between yokes & sew back seam. 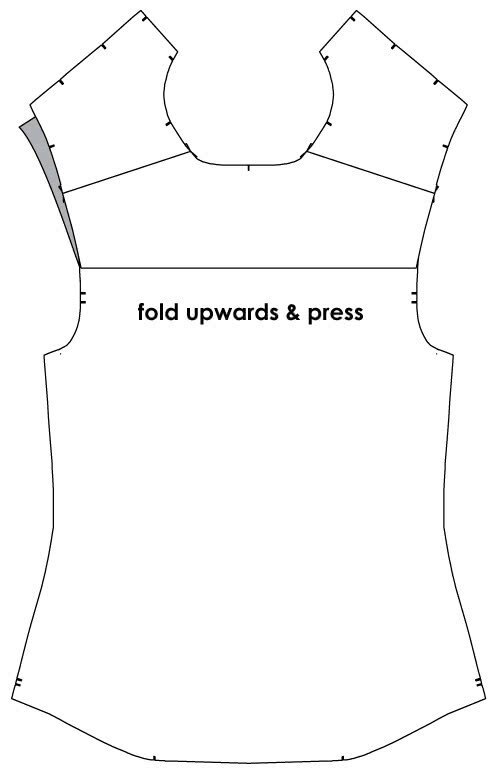 Fold yokes upwards & press neatly. 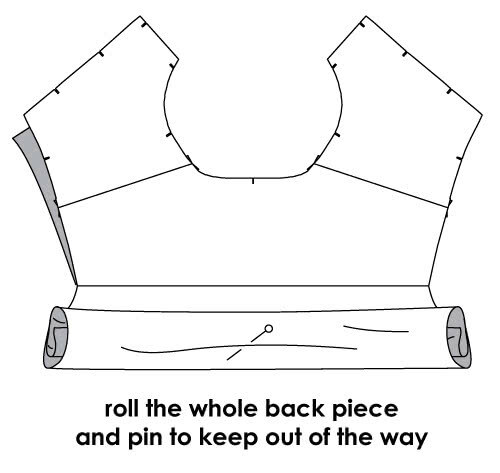 Roll the whole back piece & pin to keep out of the way. Pin front pieces to top yokes (face to face) and then roll & pin front pieces to keep out the way. 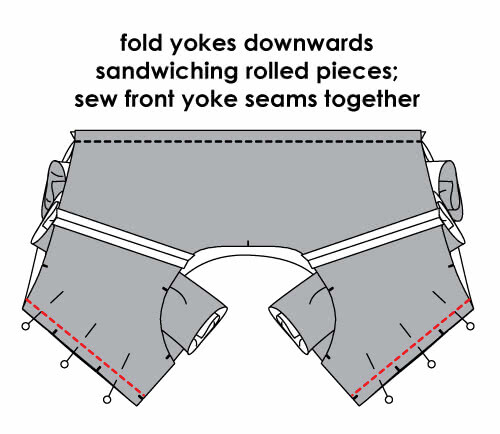 Fold yokes downwards, sandwich rolled pieces between yokes. 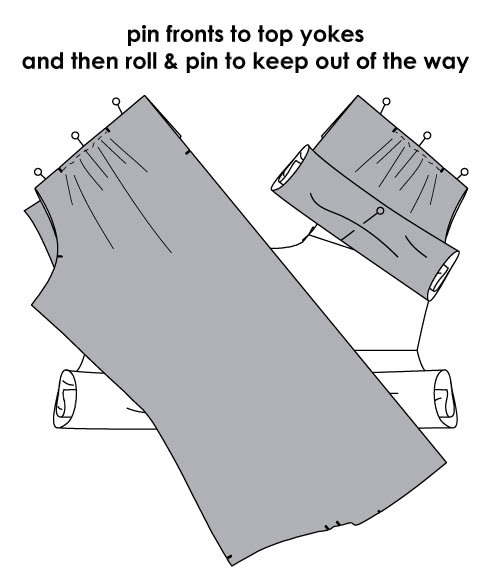 Then pin & sew front yoke seams. 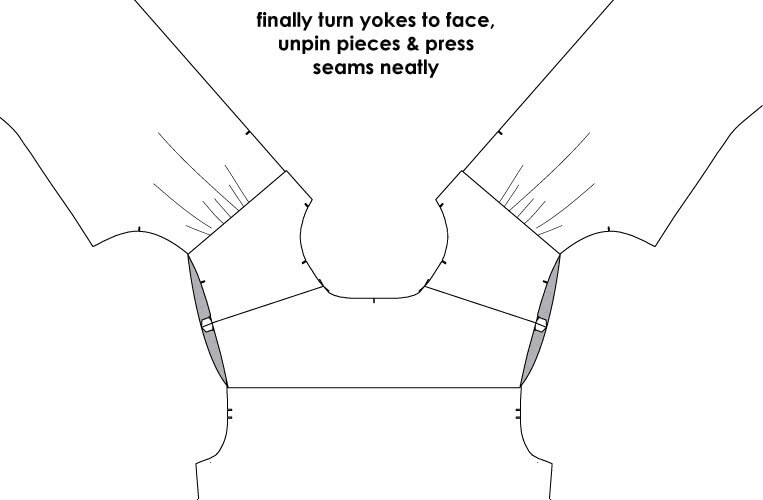 Finally turn yokes to face releasing rolled pieces; flatten back & front pieces & press yokes seams neatly.